FIRA International Gold Installation for office furniture is independent, third-party verification of the standard of your service by the experts for the furniture industry. FIRA International Gold is the only industry-recognised quality mark for furniture. To achieve FIRA International Gold, a company must be able to demonstrate that the installers used are suitably qualified and that all necessary procedures, documentation and quality standards are in place. The first stage of the assessment is a thorough audit which requires a company to meet stringent criteria, including a review of its customer service. By using the logo, you can reassure your customers and stakeholders that they will receive a high-quality installation to industry standards and an excellent level of service with every installation. We will present you with you certificate at our annual event at the House of Lords and provide support with PR and marketing, as well as adding your certificate and links to your company to our website. 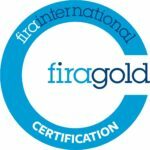 Could you be a FIRA International Gold certified installation service? To achieve FIRA International Gold, we will carry out an audit against strict criteria that conform to a recognised industry standard. This ensures that business operations are as efficient as possible, increasing productivity and helping companies to access new markets. Our experienced installation expert will audit your installation manager and work with them to identify any issues and resolve them as required. As well as the sales and marketing benefits, you may find that an audit of your procedures allows you to optimise operations and improve your bottom line. Are you a member of the Furniture Industry Research Association? Add notes in the message box if required.